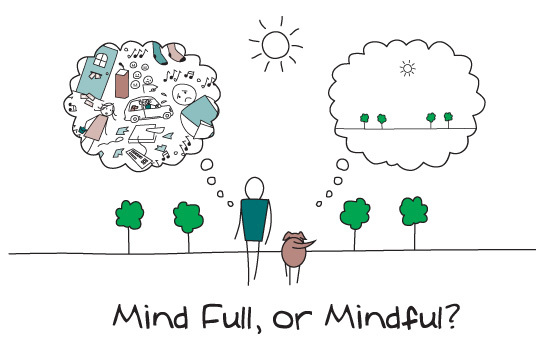 Mindfulness, or present moment awareness, is a mind-body practice derived from Zen Buddhist teachings and meditation techniques. It is both a meditation technique and a way of life, where the practitioner learns to pay deliberate attention to the unfolding present moment, without making judgments about whatever experience comes into awareness. Instead, as a mindfulness practitioner, you learn to cultivate an attitude of openness and acceptance to whatever emerging experience you become aware of. Besides formal meditation sessions, mindfulness can also be cultivated through partaking regularly in slow ritualised body movements like yoga, tai chi or chi qong. In a mindful state, the mind ceases to operate on habitual auto-pilot, and thinking slows – your brain stops the incessant chatter. Furthermore, the mind also gives up the tendency to dwell on past events – including what happened 5 minutes ago as well as contemplating worrying about the future. Through mindfulness, you learn to observe and experience life in the present more clearly, deeply, and meaningfully. Mindfulness counters the tendency to get lost in thoughts, sensations, fantasies, and feelings which so readily overtake us while we go through the motions of daily life. It helps break the addiction to thinking that compels us to constantly make judgments and heap criticism upon on ourselves, others, and life in general. It doesn’t attempt to do away with thinking – which we need to function and survive – but helps to free us from the seemingly total grip of our persistent, highly critical, mental constructions about daily experiences. Studies have shown that mindfulness practices benefit various psychological conditions, including anxiety disorders, chronic pain, depression, substance abuse, and even binge-eating. It makes you less reactive to life events by creating a gap between your awareness of an experience, and the thoughts and emotions that usually arise automatically. In this way, you start to realise you have far more freedom when it comes to making choices about your actions, including regulating what you want to feel at any given moment. Adopting an increasingly more relaxed outlook on life and experience is another welcome consequence of living mindfully, besides learning to perceive situations with greater clarity and bringing more creativity into your life. Anybody – young or old, and no matter the belief system a person adopts – can practice and enjoy the advantages of mindfulness. Many practitioners engage in regular, short meditation sessions to train the attention to become aware of and dwell without thought on the present moment. Usually, such sessions involve focusing attention on the breath, or other body sensations, to become aware of present moment experiences. It is crucial to learn to let go of any judgments about whatever experiences come into awareness, including thoughts about whether you are getting it right. It is also important to know that this is not about trying to change any experience, but to accept it for what it is. Naturally, the mind will wander into the past or future. When this happens, all it takes is to bring it gently back into the present moment by continuing to focus on the breath or other body sensations. It is also best to let go of preconceived ideas about what the experience of mindfulness entails while engaging in it, and to keep up with practice on a daily basis. 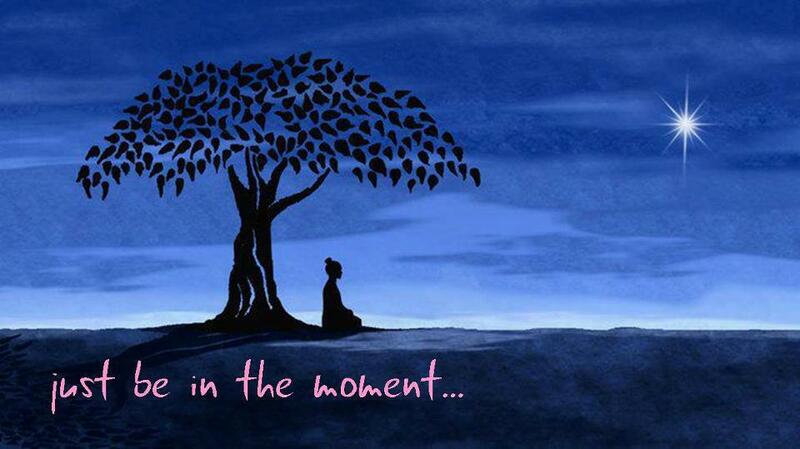 The idea is to learn to infuse every moment of one’s existence with mindfulness. This will not only deepen and strengthen mindfulness as a mental state and way of life, but it will also help to transform your life for the better.